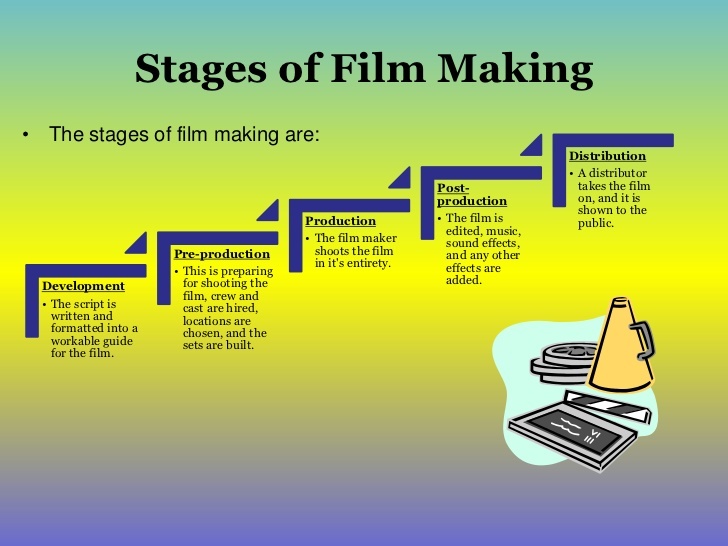 The filmmaking process is commonly divided into five phases: Idea and Development; Pre-production; Production; Post-production; and Distribution. Working according to these phases can help you do the job in a logical order, with as little complications as possible, since each stage of the process is based on the successful completion of its predecessor. Finding the initial idea for the film is the core of the whole filmmaking process. Inspiration is often elusive, not only to filmmakers but to other artists as well, and you might want to ask yourself a few questions in order to find what it is that you want to say to the world: What topics are close to your heart? On what topics do you feel you have a unique voice or a unique perspective? What new ideas do you want your audience to think about? What experiences and notions do you want to share with them? Not every idea for a film is a good idea for a film, and indeed, most concepts won’t make it to the next level. But once you find an idea that excites you, you will need to develop it so it forms the foundation of your film. This phase of the process will help you understand exactly what you want to say and how you want to say it, and will make it easier for you to convey it to other people, on-set and off-set, thus making sure that everybody’s on the same page. Working on paper can help you put things in order. Think about the structure of your film: it should have a beginning, middle and end. Think about your target audience, who they are and what you want them to feel after watching your film. In order to make sure you know exactly what your film is going to be about, try to describe the whole story in just one sentence, then in just one appealing paragraph – this will also help you when you search for funding. Next, write your script using a script format; think about characters, dialogues, sights and sounds. An important tip is to have all details in the script, but not too many details: a good filmmaker should always know his strengths and weaknesses, and allow the professionals who work with him to make decisions in areas he’s not familiar with. You can also make a graphic storyboard. You will often discover you need to do some research in this phase. If your film refers to times or places you don’t know personally, research all relevant historical and cultural aspects in order to make your film as reliable as possible. Spend time designing round characters, their lives and their motives. Many consider the pre-production phase the most important phase in the filmmaking process. In pre-production you plan all the logistical and creative aspects of the production, while trying to think about all possible problems and tackle them in advance. For that reason, a good, comprehensive pre-production can save you a lot of time, money and effort. Casting takes place in the pre-production phase, and as the face of your film, the actors you choose are crucial for its success. Schedule auditions, cast actors for all parts and conduct rehearsals. Actors should also have the time to make researches of their own, get to know their characters and understand them. Planning your schedule is a major part of pre-production. Try to estimate how many days of production you’re going to need in order to get all the wanted audio and visual materials, and plan your days in the most cost-effective way possible. Budget should also be taken under account when planning the production itself and it’s important to keep track on expenses at all times. Other topics that need to be settled in the pre-production phase are finding locations, designing and constructing sets, planning basic camera movement and coming up with Plan Bs in case things don’t go as planned (e.g. weather problems). The production is the execution phase of the filmmaking process, during which all the audio and visual materials are being gathered. On this phase shooting and recording take place. A large part of the filming crew participates in this stage, making sure that the script is being followed accurately and that the materials are of the best possible quality. The camera makes its first appearance during production, and it is important to know exactly what to shoot and how. 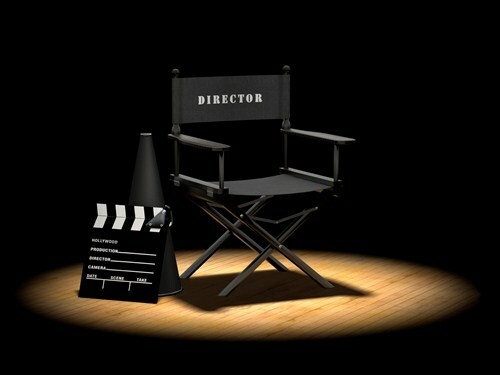 Shooting must be based on the script and storyboard in order to ensure that the right materials are being recorded; the previous phases should eliminate any need for improvisation. When recording it is also important to keep lighting – both natural and artificial – in mind, as it will help you convey the film’s atmosphere to the audience. The audio recording of the film must take place on a silent set, since every unwanted noise may be recorded on the sensitive microphones. When starting to record, everyone on set should know they need to be silent. The cast should also know to speak up and speak clearly so that their words are easy to follow. The post-production phase includes editing all the materials that were gathered during shooting, thus assembling it into a fluent, consistent film. This is also time to insert the overlay of adjustments and effects that creates the full cinematic experience you have envisioned. Post-production usually takes longer than the production itself! Needless to say, the raw material of a film is not ready for distribution. Editing is the process of going through the footage, cutting and re-arranging it, discarding what is not needed and making sure that what remains tells the story clearly. To do so, choose the best takes and use the script and notes you took during the shooting. In addition, during the post-production phase special visual and sound effects are added and the film’s soundtrack is edited. Color corrections are made and sometimes a narration is added. This is the time to title the film. Although all those things may seem as “final touches”, they have a great influence on the film’s atmosphere and message. Distribution is the process in which the film reaches the audience, and is therefore the final peak of the whole filmmaking process. It is done through film distributors, either by a theatrical distribution or for home viewing, such as DVD releases. Nowadays, a film can also be shared on the internet. Advertising is, of course, a part of this phase; use your marketing material in order to stand out in the busy world of media.